This article is 1955 days old. 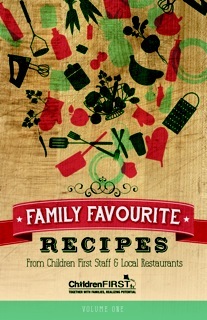 Children First has released their first Family Favourites Cookbook. The new book showcases recipes from Children First Staff together with feature pages from local guests such as Just Jeff’s, The City Grill, Smoke & Spice and Motorburger. The cookbooks sell for $15 and all proceeds will go towards supporting direct services to children and their families throughout Windsor and Essex County. Children First is a non-profit organization that partners with families and the community to provide individualized support for children (birth to 6 years) with developmental and/or mental health challenges, helping them reach their full potential through early identification, education, and clinical intervention. Call their office to inquire about purchasing the cookbook at 519-250-1850.